We continue our series on MBTI preferences, and how these aspects of a New Leader’s personality impact their onboarding experience. Last month we looked at the Extraversion/Introversion dimension, and how important it is to understand the impact of communication style on leader transition. 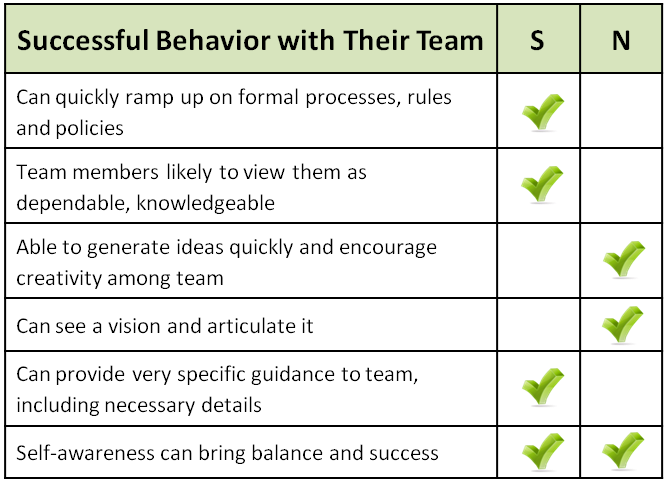 For this post, we look at the Sensor/Intuitor dimension, and how these preferences influence the effectiveness of a New Leader’s introduction to the organizational culture and their team. 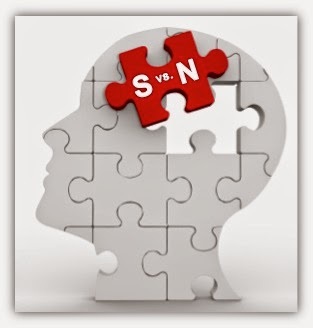 The S vs. N dimension indicates how one identifies, interprets and relates to data, which in turn can influence transition behavior. Sensors tend to be detail-oriented and linear, valuing facts and historical precedents. Intuitors are more likely to interact with data in a less-structured way, often thinking about the future more creatively and on a generalized or large scale. You have probably heard the saying “Can’t see the forest for the trees,” which is particularly relevant to the S vs. N dimension. Sensors may have a tendency to see individual trees, examine the bark on their trunks and study their height and symmetry. On the other hand, Intitutors would tend to see, well, a forest. New Leaders entering a role must place value on, and set aside time to understand, the organization’s culture. Not doing so could lead to derailment. Sensors tend to look at the hard facts; and culture is difficult to quantify or make concrete. Cultures often have nuances, including unwritten rules. 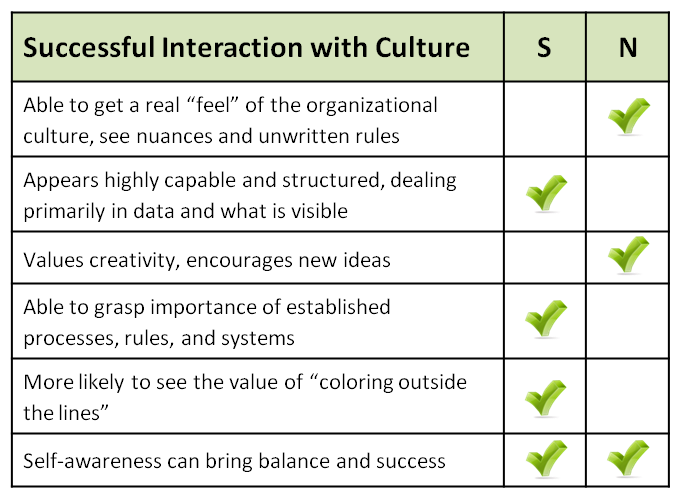 Because of these characteristics, a Sensor might miss the mark on understanding their new environment (or even the importance of grasping the culture). Intuitors often are able get a better feel for a culture, and can read into the nuances and unspoken rules. 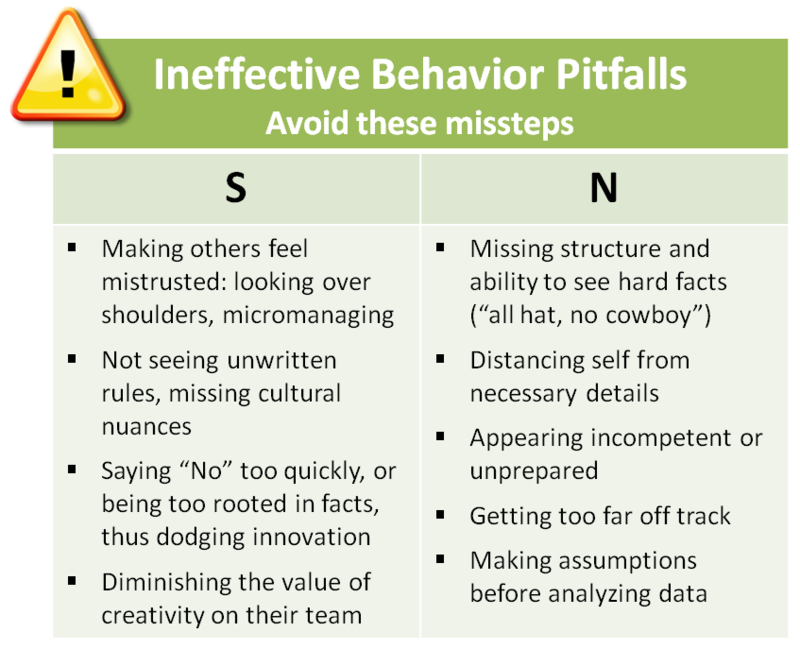 Unfortunately, this big-picture approach may cause them to miss important operational details that are considered central to organizational culture and performance. Sensors and Intuitors probably have different approaches to leading a team. Because they place high value on data and details, Sensors can inadvertently signal mistrust by asking a greater number of questions, or getting too closely involved with parts of the operation normally entrusted to others (Direct Reports are most often impacted this way). Conversely, Sensors can also provide specific information and directions to their Direct Reports – guidance that can create focus and role clarity. On the other side of the spectrum, Intuitors might distance themselves too much from specifics, and miss opportunities to understand data. They may be more likely to provide vague or confusing directions. However, Intuitors usually have the ability to generate original ideas and strategies, see the big picture, and communicate their vision to others. If you are new to your role, consider which side of the S/N fence you lean on. Look at how you interact not just with data, but with colleagues and Direct Reports. Are you missing important details? Or are you digging into aspects of the operation that are normally managed by others? Sensors, be sure to communicate why you need to be so deeply involved. It is best to inform Direct Reports that as part of your learning process you need to ask many questions, often about precedents, policies and procedures that may be out of your purview. Communicate that you will be sizing up the fine points of their work at the beginning of your role, so that you can get to know the responsibilities of each team member better. And then promise to back away as you confirm that everything is operating as it should be. Do provide the caveat that you may dive back into the details if you have later concerns, and that they should reach out to clarify what those issues might be if they see this behavior from you. Remember to follow through on that agreement, even though you may be tempted at times to do deep dives to satisfy your curiosity. Intuitors are likely to be more distant from the details, and often don’t scrutinize the work of their team members as closely. Because of this, Intuitors could be viewed by some (particularly strong Sensors) as unprepared or incompetent. To demonstrate your ability to support success, make time to specifically understand and communicate about organizational metrics. Learn the company acronyms, memorize names, and study precedents, policies and processes related to your area. With any act of balancing there can be discomfort of some form. Going against the grain of your natural inclinations can take some effort. And Sensors/Intuitors need to be aware of the impact that their natural preferences have upon their work, the people around them, and their ultimate success. Honor your preference, but also realize that in a leadership role you will need to counterbalance any extreme ways of thinking and behaving. If you have questions about how the S vs. N dimension may impact your (or your New Leader’s) onboarding process, contact us at info@leaderonboarding.com. Next month our series continues with a conversation on how we make decisions – the Thinking/Feeling dimension.